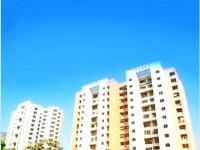 Looking for a property in Pokharan Road 2? Have a property in Pokharan Road 2? Pokharan road 2 is one of the best area in thane, atmosphere is completely peace of mind. I like the area most of in thane. 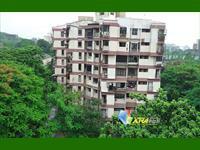 Pokharan Road 2, Thane is rated 9 out of 10 based on 2 user reviews. Have a good knowledge of Pokharan Road 2? Share it and become a Locality expert. A perfect choice for speculation just as living. Shapoorji Pallonji Northern Lights, Pokhran Road 2, Thane is offering aesthetically designed 2 Bhk apartments. Harasiddh Park is newly made beautiful residential project that offers 2BHK semi furnished apartment in Pokharan Road No. 2, Thane. "Dhaval Hills" Project Located at near Upavan Lake, Attach to New D. P. Road of Upvan to Vasant Vihar, Off Pokharan Road No-2, Thane (w). Vasant Fiona brings you all aspects that make your happiness complete. Fulfilling your aspirations of owning a home that easily fits into your expectations of good living, prime location, carefree life, and easy price. ID: P66117266 — Posted: Feb 9 by Magnum .